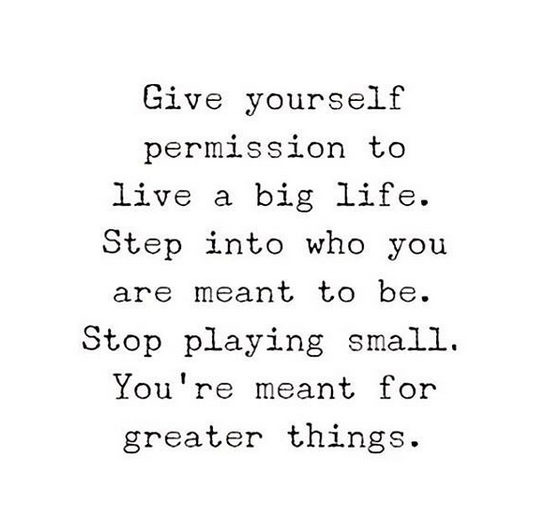 "You're meant for greater things." How truly profound and utterly true. If you believe it, be it. We all deserve happiness so make your own. Some say we don't deserve wealth, or the exact physical qualities we think we want, but happiness, that's something I believe we all deserve. I'm a proponent of making the best out of situations. It's absolutely not easy all the time, but I'm more optimistic than not. Between Optimism and a highly twisted sense of humor in even disheartening times, I'm all set. 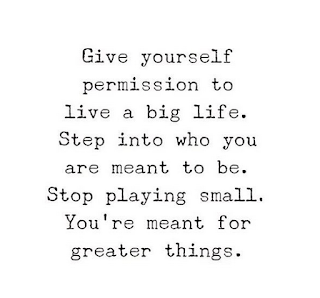 I like this little reminder and I plan to live big in happiness wherever else I am in life. Happy weekending to you!